Ernst von Schuch was an Austrian conductor who gained a place in the history of opera as GMD of the Dresden Court Opera Dresdner Hofoper (from 1872 to 1914) as a result of his forty-year collaboration with Richard Straussas the composer’s “personal conductor”. 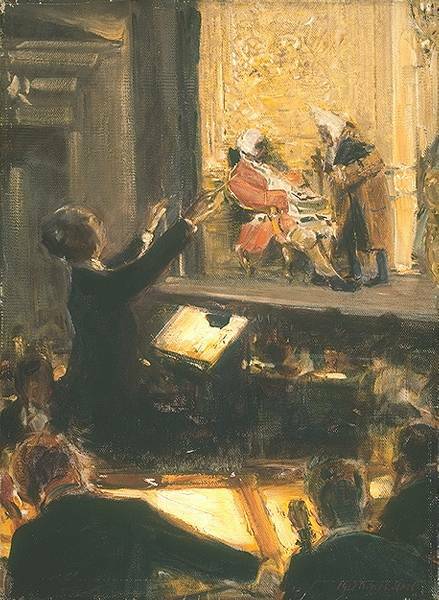 He was on the rostrum to conduct the premieres of the Strauss operas Feuersnot (1901), Salome (1905), Elektra (1909), and Der Rosenkavalier (1911). In 1902 the first gramophone recordings were made featuring Dresden opera singers. The recording equipment used was located in a room in Weber’s Hotel, close to the Semperoper. The first Semperoper singers whose voices were captured that year on shellac discs included the sopranos Irene Abendroth and Minni Nast, baritone Friedrich Plaschke and the darling of the public, Karl Scheidemantel.